This hotel is modern and convenient being less than 10 minutes from the airport. All areas offer free WiFi and rooms have a modern en suite bathroom with a power shower. Breakfast is included. Breakfast is included in the price of this package. Continental braekfast is available from 04.00 until 10.00, with hot items also avialble from 06.30. Accessible rooms with wet room facility. Blue Badge parking spaces available. Children under five travel free on the shuttle bus and kids 12 and under eat free. Overnight parking at the hotel is £10.00 (subject to change). Double rooms are furnished with a standard size double bed. Family 3 rooms are furnished with a standard sized double bed plus a foldaway sofa bed for children up to the age of 12. Family 4 rooms are furnished with a standard sized double bed plus a foldaway sofa bed for 2 children up to the age of 12. Drive to the hotel and park with them overnight at a cost of £10.00 – enjoy your stay! 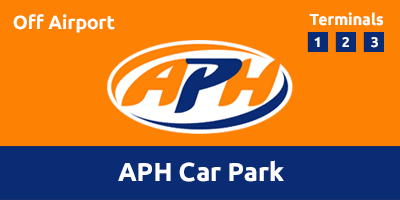 On the day of your flight drive 10 minutes to the APH Car Park and catch the free 5-10 minute transfer to the airport which runs 24 hours a day, every 15 minutes, to all terminals. Go under the motorway and at the traffic lights take the filter lane to the left on to Runger Lane and the hotel will be on your left. Exit the M56 at Junction 6. At the roundabout take the second exit on to Runger Lane and the hotel will be on your left.